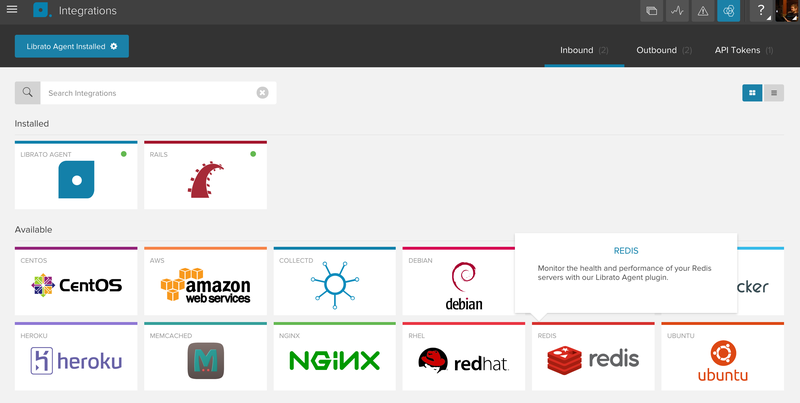 The Librato Agent allows you to easily monitor the health of your Redis service(s). We gather statistics from the Redis INFO command and emit them to your Librato account, along with your other server metrics. The Redis integration depends on the Librato Agent. If you haven’t already, you will first need to install the Librato Agent. Once this is complete, select the Redis icon in the integrations catalogue. Toggle the Enabled switch to activate the Redis integration on your Librato account and create the preconfigured Redis Space. At this point your integration is complete and any Redis metrics associated with this integration will be allowed through your Librato Agent service-side filters. By default, Redis listens on localhost port 6379. If necessary, this can be adjusted in your /opt/collectd/etc/collectd.conf.d/redis.conf file. 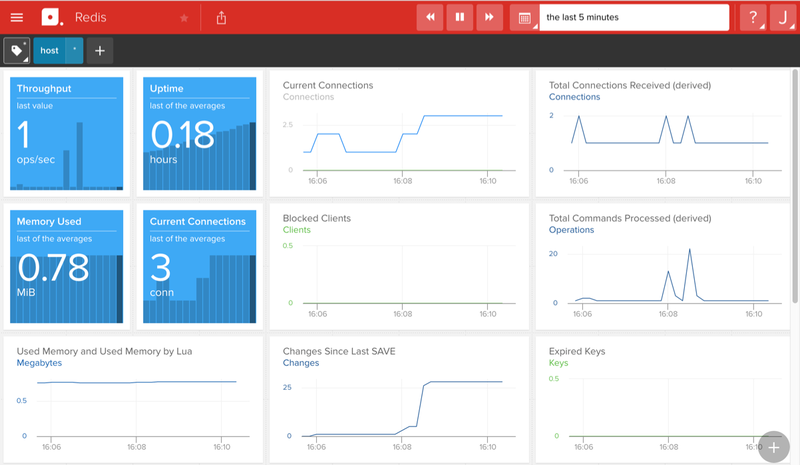 At this point you should begin seeing librato.redis. * metrics in your Librato account. This plugin is optimized for the Librato monitoring service. Besides simply gathering all of the service metrics made available via the INFO command, we normalize the metrics so that the Node (as defined in redis.conf) is captured in the name tag. By default we set this value to localhost, although you can edit this value (or add more services) and Librato will automatically add a data stream for each Node given. This makes it easy to leverage Librato’s dynamic tags feature across your Redis services. 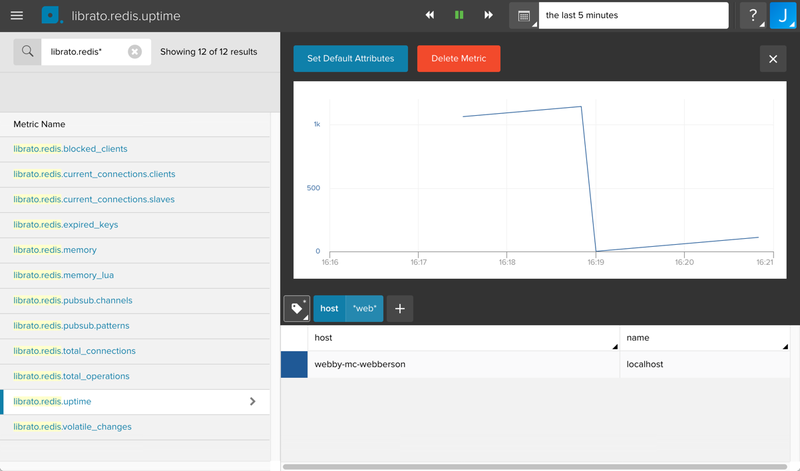 Visit your preconfigured Space to observe your new metrics as they stream in. You can use our dynamic tags field at the top to filter your view to a subset of metrics.